Track all changes and action by audit logs. Lotus Procure is based on PKI Digital Signature to maintain the security, integrity and confidentiality of document, work and bid. Reduce your procurement cost up to 70% by Lotus Procure and manage work effectively in a secure and faster way. Reduce time of your Tender Life Cycle or Procurement, enhance the productivity with error free environment. 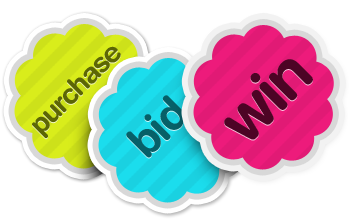 Take full control on your Procurement, Tenders, Auctions, Users and Bidder. Manage all your Procurement stockholders by a click. In the running of large organizations, the need for tenders is always present. Such a need usually results in various tenders that are running on different systems. The differences in the tendering systems arise from the fact that the involved suppliers deal with different categories of products. Sorting out the categories becomes a challenge in the process. Many tendering systems also present other challenges. Implementing the conventional tendering process will take a very long time to complete. The process does not acknowledge the expertise of different suppliers. Conflicts and adversarial attitudes are always bound to arise in such processes. Amid the confusion and challenges facing tendering systems, gement solution is the way to go. It makes it easy to manage requisitions, bidding information and tender documents. 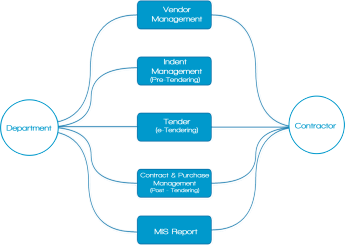 Lotus Procure is a system that can automate all the tendering activities. One can refer to the system as an e-Tendering System, e-bidding system, e-procurement system or Electronic Tendering System. Automating the entire tendering process that involves procuring services and goods refer to activities starting from purchasing the requisition to when the contract is awarded. The tendering process involves authenticating important information before it is accessed and transferred from one user to another. Users of the system are the buyers and suppliers. Since the system ensures the necessary security measures are in place, the procurement process becomes transparent. Other advantages that such a system presents include ease in forecasting the demand and reducing the risks associated with security of supply and price fluctuations. The Lotus Procure is an e-tendering system that presents government agencies and private companies with the opportunity to experience efficiency, cut on expenditure and make purchases with a lot of ease. The system uses a powerful technology that makes it fast to navigate from section to another. In order to achieve such features, the Lotus Procure system has integrated the necessary tools. For instance, the Bid and Tender Management features facilitate the management of sourcing professionals and other purchases. The tools also make it easy to make procurements and communicating with different members of the team. Members of a team are usually the service providers and product vendors. While using the Lotus Procure system, one should not worry about managing the contacts of clients and other stakeholders. Managing deadlines is also possible while using the system. One can also access other features such as tracking requisitions and tender information that include old records. Accessing such information on manual filing systems is usually a time-consuming process. In some cases, the organizations may lose the information through vandalism or unintentional damage. Integrating suppliers into the system is always an important step that will make the purchasing life cycle proceed without any problem. After the integration, suppliers will be able to access the Bid and Tender Management tools. With those tools, managing requisitions, bidding information, tender documents, among other activities, will be easy. Welcome to OSMO, the only IT consulting company in Central India providing fully FOSS (free and open source software) solutions! Whether you need to migrate from Windows to Linux, remote infrastructure management, software development, network and server security, or anything else FOSS related, we're here to help. If you've ever felt trapped in proprietary software or network hardware solutions, please know that it's not the only choice you have. We're happy to show you the alternative and to implement it for you in a cost effective, user friendly and customer oriented manner. Our company was founded in February 2012 with a mission to assist businesses and educational organizations of any size in incorporating open source software solutions into their network and business infrastructure. We strongly believe in the freedom and empowerment that the open source software offers, our experts have to knowledge to implement it, and we desire to share this freedom and empowerment with you. Freedom, empowerment and independence. That's what FOSS offers you, and we're here to assist you with it. Once again, welcome to OSMO. Lotus Procure made e-Tendering very easy and effortless. As a contractor I found, this solution is best in the market. Lotus Procure providing good support and technical helps in terms of e-Procurement. I like the solution and support.